Music on this site is best experienced with the Crescendo Midi Plugin. Streaming Crescendo is paid for by this site's administration. Multiple agencies in San Diego County have been evaluating 12 lead cardiac exams for years. San Diego City paramedics now evaluate cardiac conditions with 12 lead cardiography also. The results of a field study resulted in improved evaluation of serious medical conditions associated with chest pain, dysrrythmias and other ACLS patients. We are raising the "Standard of Care" through high tech technology and advanced education. Twelve lead field assesments are rapidly becomming the standard of cardiac evaluation all accross the EMS community. To put it simply, "we are managing chest pain patients more effeciently." This helps us treat these patients more effectively, and increases our understanding of "the cardiac event." We are able to accurately diagnois with high specificity an Acute Myocardial Infarction. "Stand Clear" Countershock @ 200 watt seconds... Maybe we can prevent this from happening!!!!! With permission from, Eric Yeargain, former paramedic 12 Lead E.C.G. Coordinator for our Paramedic Program, we have provided a ink containing information on 12 Lead cardiography and its use in the field and twelve lead technology. The San Diego Paramedic Program 12 Lead Cardiography Program. "The Cardiac Clock..." Cardiac Timing and Excitation and the rhythmic contractile activity of the heart. This link will give you, the point of care provider, a brief but comprehensive understanding of twelve lead cardiography and lead placement. How to recognize an acute myocardial infarction with a 12 lead monitor and make an accurate field diagnosis. We Are currently using a Zoll® and Physio Control defibrillator-monitors equipped with 12 lead recording in a field test. After the results are in, we will aquire the new monitors for use on all ambulance. Prior to this, we used Physio Control® monitors and through a city endowment program set up between the San Diego Medic Association and the City of San Diego, City Council 4 units were purchased and placed into service. This agreement was ratified on 12-04-95. The San Diego Medic Association purchased two adaptors and donated both to the City of San Diego. 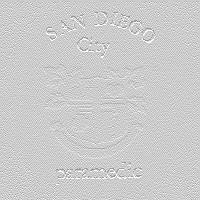 To go to a reprint of the agreement between The City of San Diego and The S.D.M.A. the: RESOLUTION OF THE CITY COUNCIL OF SAN DIEGO Click here! Drug abuse, especially Cocaine accounts for 64,000 related chest pain E.D. visits per year. This caused by vasoconstriction, increased platelets aggravation and increased atherosclerosis with years of abuse. Diagnosing the Acute Myocardial Infarction has it's challenges in the field. No single test or study nor subjective or objective evaluation rules out A.I.C.S. A 12 lead E.C.G. is often non-diagnostic for Acute Myocardial Infarction (approximately 50% of all studies). A positive E.C.G. is very helpful in confirming an A.M.I. but a negative E.C.G. does not rule it out. A positive E.C.G. has a 12% mortality rate while an abnormal E.C.G. has a 6% mortality rate. In light of the above presenting symptoms, a preliminary diagnosis is a combination of skill, knowledge, tests, studies and savvy. Every test is not 100% specific or 100% sensitive. All in all, the more diagnostic tools that are available, the easier the task. Obviously, at present, paramedics cannot preform Serum Marker Studies in the field, but we can draw bloods??? A could be used provided a product from Spectral Diagnostics, Stratus Immunochemistry. This unique product has the technology to analizes whole blood at "the point of care" (at scene or en-route) and produces results of plasma cardiac protein content in less than 18 minutes. A Differential Diagnosis can also rule out an AM.I. 12 Lead E.C.G. studies can assist with this also. While an ST elevation in an A.M.I. is 91% specific and 46% sensitive, the E.C.G. record can indicate Pericarditis, Ventricular Hypertrophy, Atrial Hypertrophy, Predisposed Supraventricular Tackycardias, Axis Deviation, Bundle Branch Blockage, Hyperkalemia, Tricyclic Overdoses, and Hypothermia. Patients with Chest Discomfort associated with Ischemia and had "normal E.C.G. 's make up for about 1% of all M.I. patients and 4% of all Unstable Angina patient. Likewise, patients with non-specific ST or T-Wave changes make up for about 3% of all M.I. patients and 23% of all Unstable Angina patients. Hyperacute T-Waves account for the the earliest finding in A.M.I. patients. This link will take you to a chart containing eight differential diagnois's with pain discriptions, pain relief, associated symptoms, and EKG findings. A Pre-Hospital study in 1991 conducted in San Diego County by paramedics and administered by Grossmont Hospital and orchestrated by Janie Henry R.N. M.I.C.N. (Base Hospital Paramedic Coordinator) was accurate 97.5% when diagnosing an A.M.I. with ST elevation of one mm. in anterior, lateral and inferior infarcts in two or more continuous leads. There was however a high percentages of over-reads in anterior ST elevations due to the normal J Point elevation. The study proved that paramedics could accurately diagnosis A.M.I. 's and a program was initiated. Now all of the paramedic units assigned to the Grossmont Hospital District in East San Diego County, monitor their cardiac patients with 12 Lead electrocardiographs. Since then the sensitivity has been increased by increasing the elevation .1 to .2 mm indication in the anterior leads and by adding "reciprocal changes." So, the sensitivity is greater and the accuracy remains the same. Complicators are always there as 12 Leads are not read with an indication of Pericarditis, Aneurysms, LLBB. Another Pre-Hospital study indicated that 51% of the patients evaluated with an elevation of greater than 1mm in 2 leads had non-A.M.I. diagnoses (LVH, LBBB). In that study, more data proved that paramedics could also rule out A.M.I. patients accurately. Please check out Grossmont Hospital Cardiovascular Institute's Thrombolytic Inclusuion and Exclusion Criteria. A Q-Wave is a manifestation of myocardial necrosis. 50% of all A.M.I. patient have pathological Q-Waves with an ST elevation. Also reciprocal ST changes can be more than 90% accurate in predicting an A.M.I. Detection of an A.M.I. is confirmed on 18% of the first E.C.G and another 17% on the second study. Serial E.C.G. Studies are crucial in evaluating and diagnosing Chest Pain Patient and formulating a Dx. Serail E.C.G.s should be preformed every 15-20 minutes. It also allows the Physician and Cardiologist a record of what has happened, what is occurring presently and confirms "reperfusion" with definitive Rx. or further ischemia with the evolution of the continuum of the A.I.C.S. Emphasizes the E.D. Physician to administer treatment of the A.M.I. patients. Stresses the importance of thrombolytic therapy. Recommends an interval of Thrombolytic drug therapy of less than 30 minutes. Defines the "Four D's" framework. The arrival at the E.D. to the time of the initial E.C.G. Time form the initial E.C.G. to the decision to treat with Thrombolytics. The decision to administer the Thrombolytic treatment, signified by ordering the Thrombolytic agent. Time from the decision to treat with the Thrombolytic agent to the start of the drug infusions. Infusing of the Thrombolytic agent. Obviously, "Door To Needle Time" is critical in salvaging Cardiac tissue. Per A.C.L.S., The American College of Cardiology and The American Heart Association guidelines, a diagnosis, Door to Data," must be made in less than 10 minutes and the Rx of the Thrombolytic agent in less than 30 minutes! Why 12 lead in the field??? Produces an accurate diagnosis (picture) of the heart at the time of symptoms prior to Rx Nitrates and MS.
Disproves A.M.I. "Diagnosis of a non infarction"
If Thrombolytic therapy occurs in less than one hour there is as much of a decrease of appoximately 47% in mortality and decreases morbidity and improves ventricular function. This therapy has it's greatest impact, effect and benefit if it is administered in less than one hour from the door. The reperfusion strategies. Whether T.P.A. (Total Plasmagin Activator), SK (StreptoKinase), and or P.T.C.A. (Percutaneous Transluminal Coronary Angioplasty) is used, time is the number one factor. Nitrates alone can decrease mortality as much as 35%. Morphine Sulphate alone can decrease mortality as much as 21% and in conjunction with Aspirin, a reduction as much as 42%. Aspirin helps to prevent re-occlusion. Beta Blockers also decrease cardiac demand, the infarct and the malignant arrhythmias. "TIME IS THE MOST IMPORTANT FACTOR!!!" Would it be safe to say that a primary 12 Lead E.C.G. is helpful to the E.D. physician and provides the first in a series of studies for the E.D. and the Cardiologist and decreases the first two time intervals considerably. OF COURSE IT IS!!!!! En-route to the hospital or while the patient is being "packaged," a 12 Lead study can be accomplished in conjunction with O2 and Pharmacology vasodilator treatment with Nitrates and Morphine. Is there a TIME DELAY ??? If we can minimize the time from THE ONSET OF SYMPTOMS to the DEFINITIVE CARE and DETECTION while at scene and in the ambulance rapidly transporting to the Emergency Department so the Physician at the DOOR can make an informed DECISION on his DATA and our SERIAL E.C.G. the DRUG and the DEFINITIVE THERAPY can begin sooner. Obviously we as health care professionals can even educate our patients to recognize the symptoms and access the E.M.S. System EARLIER to further decrease the Time Continuum!!! Heart and Stroke Facts: 1994 Statistical Supplement. American Heart Association 1994. This is the most comprehensive ECG site on the net ! This Ring is owned by Mitch Mendler. Web page design and maintenance by Mitch Mendler E.M.T. Firefighter Paramedic;The WebMaster! All aspects of this page are copyright © 1996 S.D.M.A. and unless otherwise stated are property of the San Diego Paramedics or The San Diego County Paramedic Association.